IQS Directory implements a thorough list of ceramic heating element manufacturers and suppliers. Utilize our listing to examine and sort top ceramic heating element manufacturers with previews of ads and detailed descriptions of each product. Any ceramic heating element company can design, engineer, and manufacture ceramic heating elements to meet your companies specific qualifications. An easy connection to reach ceramic heating element companies through our fast request for quote form is provided on our website. The company information includes website links, company profile, locations, phone, product videos and product information. Customer reviews are available and product specific news articles. This source is right for you whether it's for a manufacturer of wood ceramic heating element, ceramic disc heater element, and ceramic infrared heating elements. Established in 1952, Backer Hotwatt began with the manufacturing of a single product, the open coil heating element. Since then they have expanded their product line to include cartridge, air process, strip, finned strip, band, foil, flexible glasrope®, crankcase and many more. For all of your needs, including ceramic heating elements, call Backer Hotwatt today so you can get started. Since 1938, Tutco has been manufacturing and supplying ceramic heating elements for a multitude of industries and applications. When you choose a standard or custom ceramic heating element from Tutco, you will be guaranteed high heat transfer rates, fast heat-up time, long life, and ability to withstand high-temperature and high-vibration situations. Our ceramic heating elements come in various lengths, sizes, terminations, and wattages. Visit our website to learn more! Our ceramic heating elements are highly resistant to abrasion and other forms of abuse. We keep your production goals in mind which is why we work hard for quick turnaround and on-time delivery. Our seasoned engineers can develop specialized heating elements if your application requires and we are dedicated to adhering to all specifications. From stock item to tailor-made; we can provide it all! Contact us today! Ceramic heating elements are heat generation utilities that are composed of ceramic materials like silicon carbide. 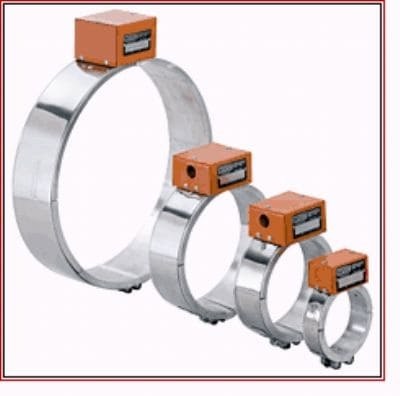 They are used in low and high-temperature ovens and furnaces as well as in several other applications. A ceramic heater has heating elements that come into direct or near-direct contact with the area or substance that it heats. Ceramic heating elements can be used in products that melt, cook, dry, warm, seal and reform substances. Many commercial and consumer products also contain ceramic heating elements, such as hair dryers, space heaters, toasters and irons. An example of such a heater would be a heater used to keep food products warm. The heating element directly warms the substance rather than indirectly via fans or ductwork. In some cases, ceramic heating elements can be used in immersion heaters. An immersion heater involves heating elements that can be immersed in a liquid; the heating element then heats the surrounding material directly. Some of the many industrial and manufacturing applications where ceramic heating elements are found include heaters, ovens, dryers, and furnaces. Ceramic heating elements can be used in products that melt, cook, dry, warm, seal and reform substances. Many commercial and consumer products also contain ceramic heating elements, such as hair dryers, space heaters, toasters and irons. Ceramic heating elements are capable of generating high, evenly distributed heat. They are considered by many professionals to be superior to wire heating elements because of their higher heat generation capacity and the evenness with which they are capable of distributing heat. They also tend to last longer than wire heating elements and are less prone to causing fires. Ceramic heating elements are such effective heaters because of their high electrical resistance. The extent to which a heating element is electrically resistive determines its heat generation capacity. Ceramic heating elements are also more durable and long lasting than other heat element varieties. Ceramic heating elements can be found in rectangular, square, flat, cylindrical, or partial cylinder shapes. In many cases, particularly in the case of very small heaters, a ceramic heating element may be no larger than a few short fibers. In other cases, as is the case with hair straightening irons, the heating elements can be long, flat plates. The shape and size of a given ceramic heating element depends on the demands of its intended application. All heating elements should be chosen carefully based on the demands of their application in order to ensure safe and effective operation. Ceramic Heating Elements – Hotwatt, Inc.